The third joint ExIStA and RSS South West Local Group seminar took place on the 24th of October 2014 with invited speaker Professor Stephen Senn, Head of the Competence Centre for Methodology and Statistics at the Public Research Centre for Health (CRP-Sante) in Luxembourg. 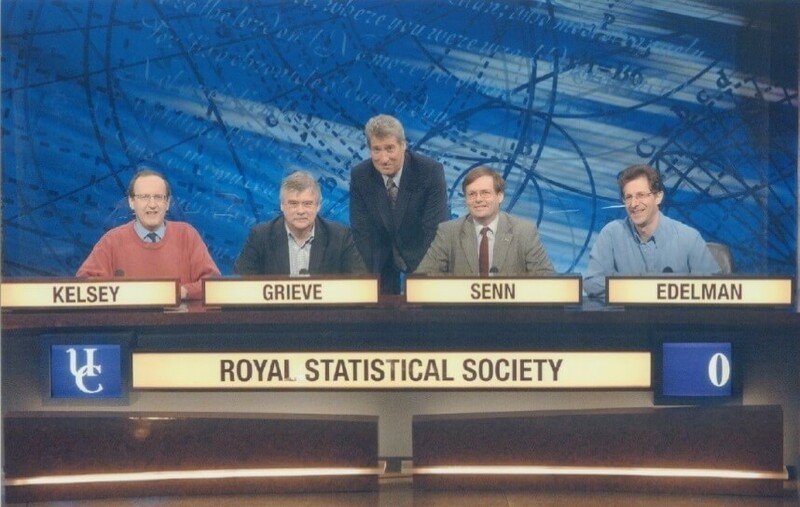 Stephen is a graduate of the University of Exeter and two-time star of University Challenge, captaining the Royal Statistical Society team that got to the final of University Challenge the Professionals in 2006! Stephen has extensive experience in both academia and industry and is recognised worldwide for his studies in statistical methodology applied to drug development and the pharmaceutical industry. Stephen gave us a fascinating talk focussed on personalised medicine and the challenges faced in this active area of drug development. The medical community has long recognised the inherent uniqueness of the individual, shown by the prevalence of specific diseases within families, for example, as well as variable responses to medicines. However, a “one size fits all” approach has generally been employed in medical treatments, rather than a tailored approach to the individual patient. This practice is now changing as technological advances (e.g., genotyping and microarray biochips) and our growing understanding of genetics is allowing us to explore personal response to treatment and to attempt to tailor healthcare to the individual patient. Personalised medicine has been an extremely active area of research over the last two decades. There have been some notable successes: Personalised medicine can help predict a patient’s likelihood of developing certain illnesses, for example, mutations of the BRCA1 and BRCA2 genes have famously been implicated in familial breast cancers. However, vast sums of money have been poured into personalised medicine (plans to spend $416 million on a four-year plan were announced in December 2011 by the US National Institutes of Health) and genetic tests and molecular diagnostics currently only apply to a fraction of patients. On his webpage, Stephen declares that “In my opinion this whole field is in a terrible mess. Some excellent work has been done but it is lost in the hype and the noise.” In this talk, Stephen discussed some of the limitations of the current research and what we, as statisticians, might be able to do to help. At its core, personalised medicine relies on there being a strong element of personal response to treatment. However, Stephen argued that in almost all cases nobody knows whether this is really the case. Furthermore, personalised medicine relies on the assumption that most variability seen in clinical trials is genetic and that a small number of genes are responsible (allowing them to be identified and targeted). Studies have often struggled to replicate results linking particular genes to particular diseases and single tumours are often found to have many different genetic mutations at various locations, adding another layer of complexity. With an appropriate study design and the application of random effect methodology, improved estimates of these components could be made. Stephen argued that it is up to statisticians to better account for these different components of variation and to better explain them to our life scientist colleagues. Only then will we truly know the extent of personal response to treatment and the potential value of personalised medicine. This was a fascinating seminar, taking a critical look at personalised medicine and our understanding of variability in clinical trials. If you’d like to find out more about Stephen’s talk, his slides for the seminar are available on the ExIStA website and a video of the seminar is available on the Select Statistics You Tube Channel.